See Leong Kit's letter questioning HDB's pricing formula rejected by Today. Prices of HDB flats – press censorship? Mr See Leong Kit had sent a letter to the Today newspaper on the pricing of HDB flats (16 Sept). The HDB responded to his letter on 25th Sept. (See links to both letters below). The Today newspaper, however, has declined to publish the follow-up letter by Mr See in response to the HDB’s letter. HDB’s response “Why we peg to market rates: HDB” ( TODAY Sept 25) to my earlier letter has necessitated my right of reply. Instead of merely accusing me of being “misleading and illogical”, HDB is expected to be transparent in disclosing fully the actual breakeven cost of new flats in all its projects. After all, these are public housing developed with public funds. Root cause behind high prices of new and resale flats. In the 1970s, at HDB Marine Parade Estate, prices of 3-room, 4-room and 5-room new flats were $17,000, $20,000 and $35,000 respectively. In 1990, 5-room new flats cost around $70,000. Such prices then reflected a “cost-based” pricing approach. 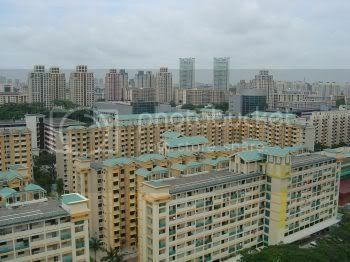 But, following the 1994 property bull run, HDB switched to a “market-based” pricing approach. It confirmed that “the prices of new HDB flats are based on the market prices of resale HDB flats, and not their costs of construction”. In 2000, the total breakeven cost (comprising construction cost, land cost and other related costs) of a 5-room new flat was an estimated $120,000. However, under the market-based pricing approach, HDB will first look at the prevailing market price of, say $260,000 of a 5-room resale flat. It will then pick a slightly lower figure of, say $200,000 as the selling price of the new flat — regardless of its actual breakeven cost of $120,000. HDB will then proclaim the new flat buyer is getting a so-called “market subsidy” of $60,000, the difference between resale flat market price and new flat selling price. There is really no “cash subsidy” given to the buyer, and HDB is actually making a profit of $80,000 for each flat sold. The losses reported in HDB financial statements could well come from “transfer pricing” accounting between HDB, Singapore Land Authority and Ministry of Finance. HDB’s “market-based” pricing approach is the root cause of prices of new flats and resale flats chasing each other in a never-ending upward trend. A plate of chicken rice cost $3 in HDB coffeeshops and $20 at hotel coffeehouses. It is both illogical and ridiculous for HDB to proclaim that every person eating chicken rice in HDB coffeeshops is getting a “market subsidy” of $17 per plate! Are HDB new and resale flats really affordable? It is misleading for HDB to merely state that “first-time flat buyers use 17 to 29 per cent of household income for their loans, below the international benchmark of 30 per cent” without disclosing the assumptions used. HDB has since confirmed to me that a 30-year loan period was assumed. Of course, if you stretch a home loan to as long as 30 years, even private property will become “instantly affordable”. For a couple with a combined $8,000 monthly income, a HDB loan of $500,000 at 2.6 per cent interest and a monthly loan instalment of $2,000 may appear affordable. But at the end of the 30 year loan period, they would have coughed up some $800,000 in total capital and interest repayments. A sensible home loan period would be around 15 to 20 years. Mr See’s first letter to the HDB: It’s not all about the numbers. HDB’s response: Why we peg to market rates.